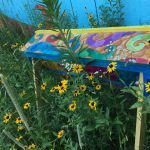 The last time that I was in the Meadow Hive they were close to being nectar bound and I had to remove three bars of honey. Now I am getting ready to go to Norway for twenty five days and I am concerned about them being completely nectar bound and swarming while I am gone. 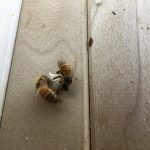 There was so little space in the hive for the queen to lay eggs and they are growing at a very fast pace. I just want to make sure that they have enough room to continue growing during the time I am away. Two weeks ago, I gave this colony five empty bars and now they are all full. 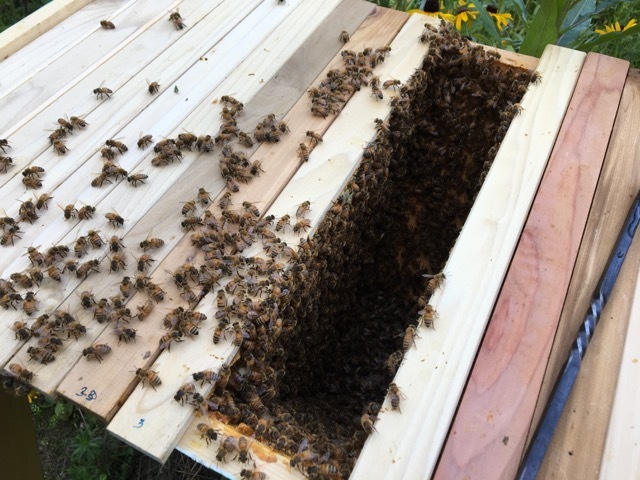 They have thirty two bars in the hive and no divider boards. 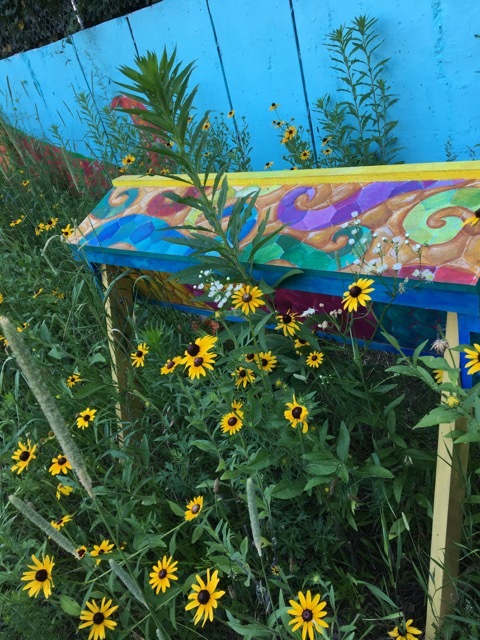 Every bar has nectar on it and thirty one of them have capped honey. 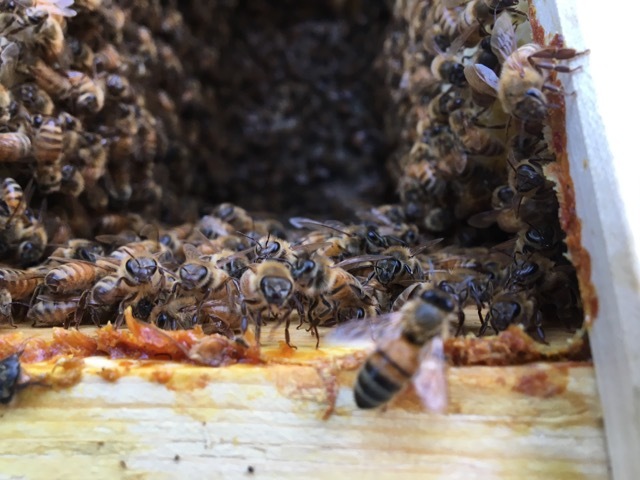 This hive is very nectar bound. The bees were filling every extra cell that they had with nectar. 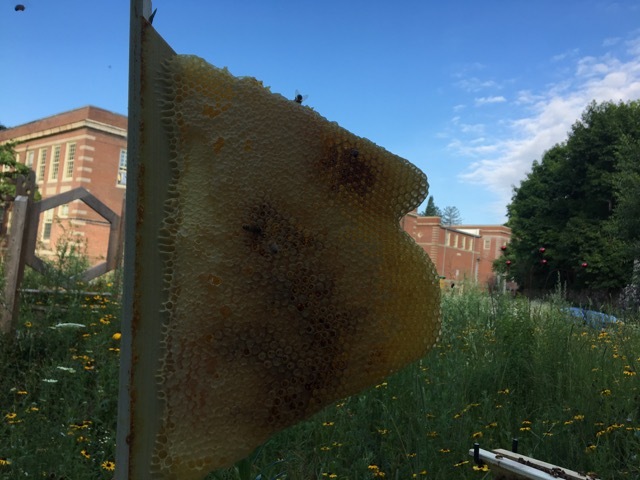 In the end, I removed eleven bars with honey and nectar on them. 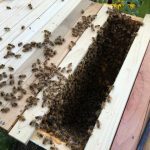 In their place, I added ten empty bars and some spacers to make getting into the hive and working with the bars easier. 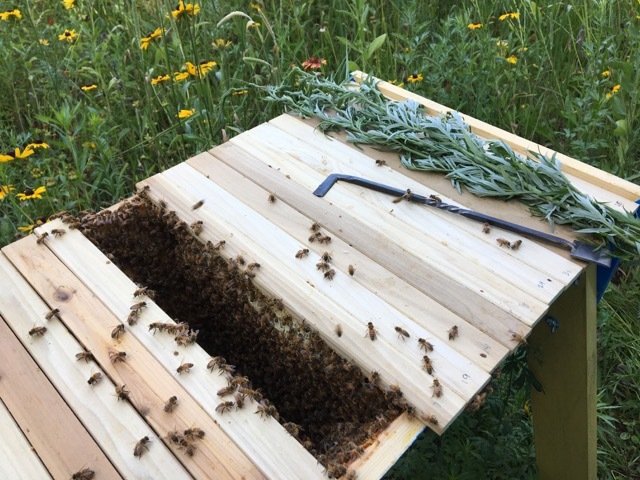 I have been having so much trouble with these bars so my hope is that adding the spacers will help some when I need to open the hive. 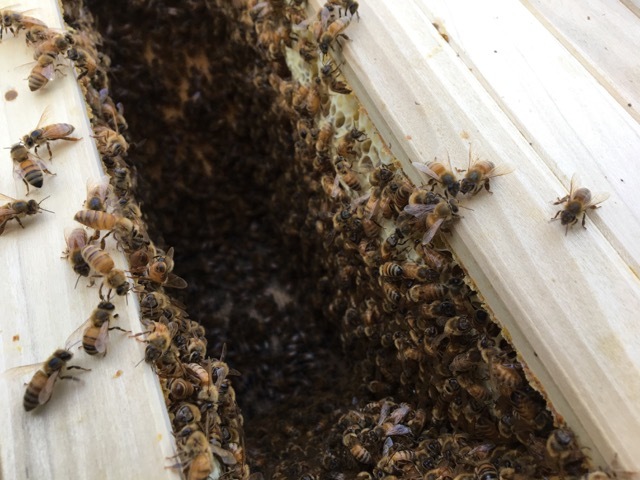 I need to find a way to make things work with this hive. As for brood, there was twenty two bars with capped brood and six bars with larvae. I am unsure about eggs and I didn’t find the queen. 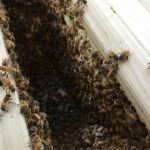 The hive was so full that she was impossible to see. The position of the sun made it challenging for me to see the eggs. It might be a good idea to bring a flashlight with me when I inspect the hives. The colony was extra grouchy today and I got stung on the ankle. 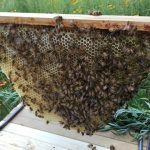 I have been wearing my bee suit the same way for two years now and I had not been stung until today. She was determined to get to me, she climbed up underneath the suit overhang and got me. I had to walk away from the hive and get bentonite clay onto my ankle. The hive was left open while I took care of my ankle. It took me a little too long to get the clay onto my ankle, but it did help. Once back at the hive, I needed to get things done a little more quickly. I could feel my ankle and foot swelling and heating up. 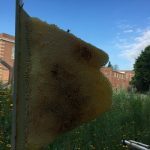 Of course, this only made the bees even more angry. This inspection was guilt producing for me and I felt horrible when I had finished. 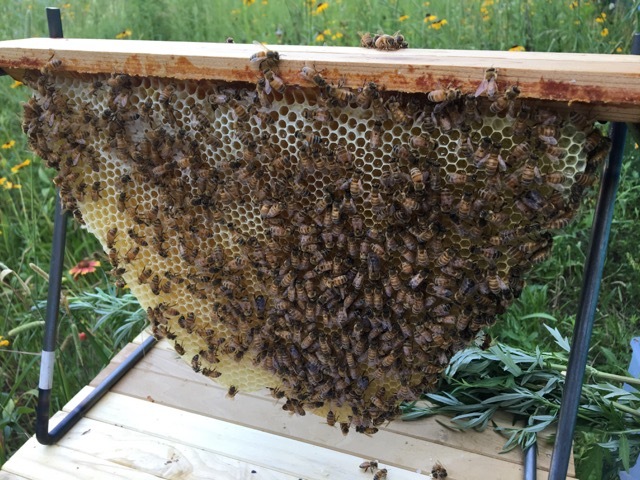 Since things did not go that well, I decided to recheck the hive on the morning of the day I was going to Norway. I did not want to be gone for more than three weeks feeling this awful about how the inspection went. 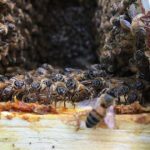 The main purpose of opening the hive again was just to make sure the queen was still in there and laying eggs. 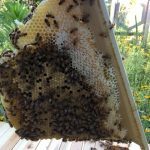 When I opened the hive, I checked twenty of the thirty one bars. 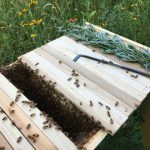 The bees had begun building new comb on all ten of the new bars. 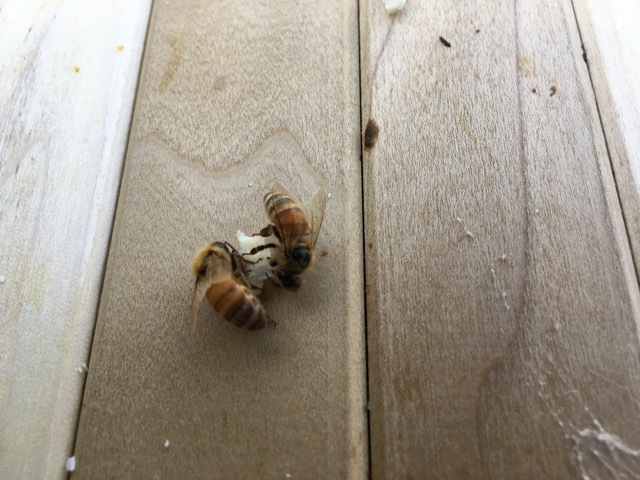 Even though I didn’t see the queen there were at least four bars with eggs on them. It has been more than three days since I was in here last, so she is in there somewhere. The other focus that I had was working better with the bars. The bees were annoyed, but not angry. It made things a little easier, but it really helped that I found a better way to work with these bars. This made the inspection go much more smoothly. 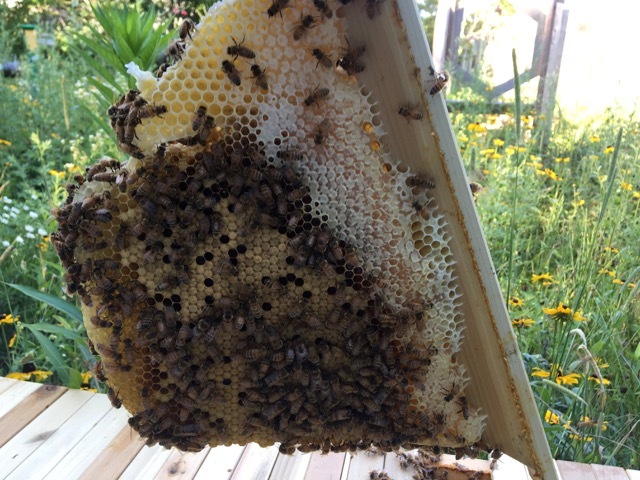 I was so relieved that despite all of the issues, the colony was in good shape and things were going well. That makes leaving the country much less stressful for me. Can’t wait to see them when I get back.